I never personally had a full grooming kit from one brand, as I use to mix n match, before getting this Oster 7 Piece Grooming Kit. Although it is pricy, I luckily managed to get it on sale for half price. 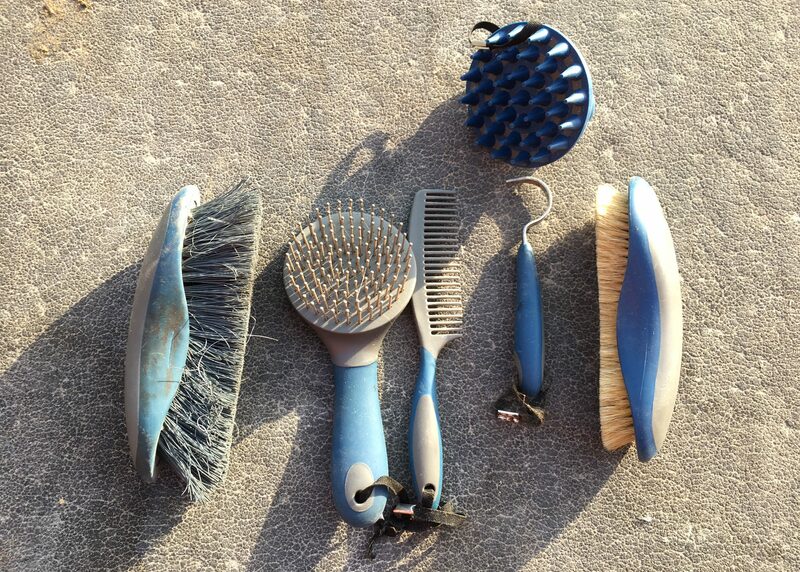 This kit is included in my Essentials to Keeping your horse clean. I’ve been using this for just over a year now, and the brushes have held up rather well. although to be honest, I only use about 3 of them. 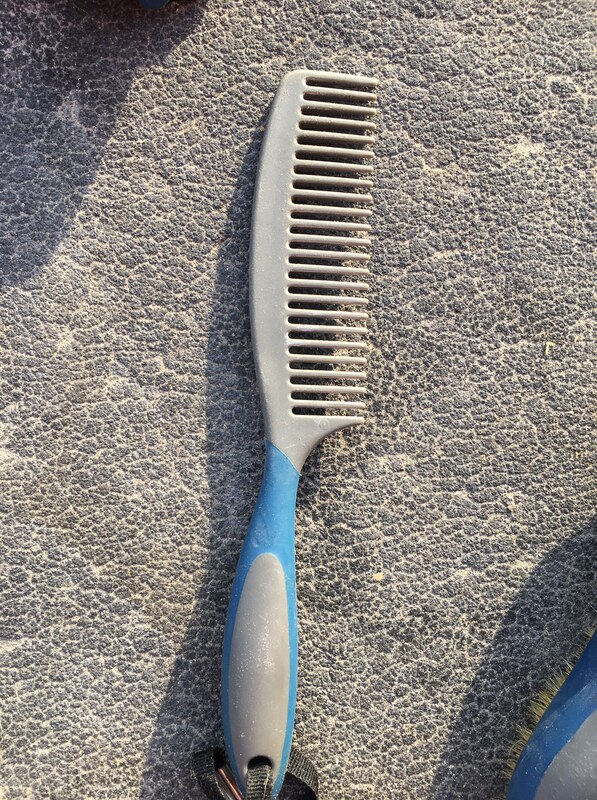 The stuff brush, the mane and tail brush, and the curry comb for massaging sometimes. I will get into more details below with each brush. 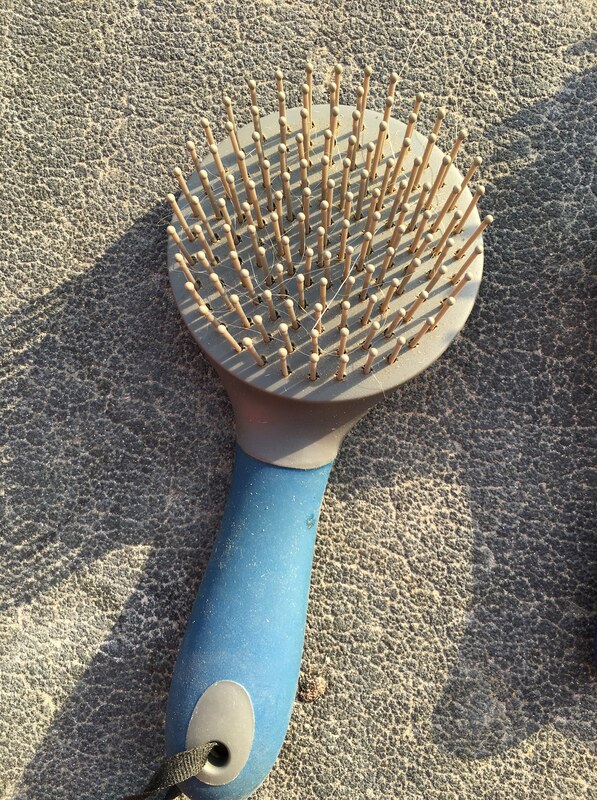 The stiff body brush is what I use the most, on a daily basis. It helps with removing sweat marks or stains and keep the coat smooth. 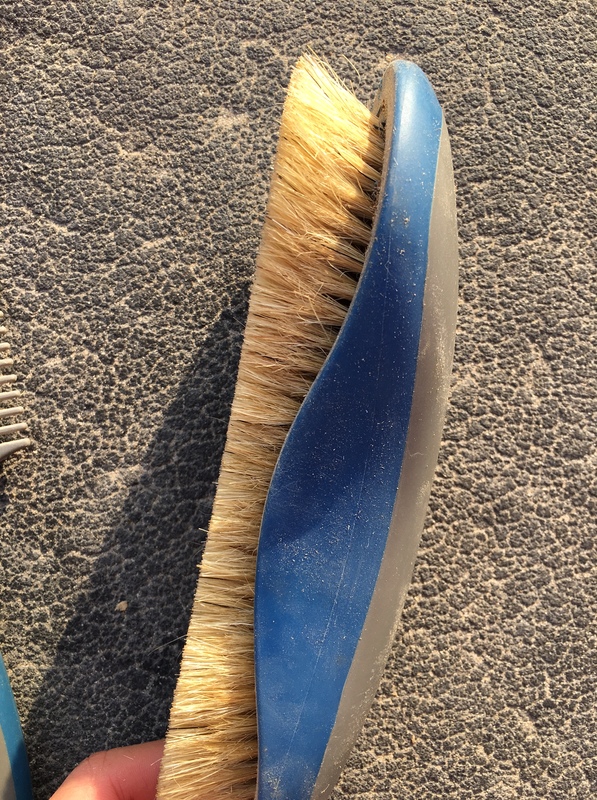 The bristles have held up I would say very well for the past year, and is still usable. 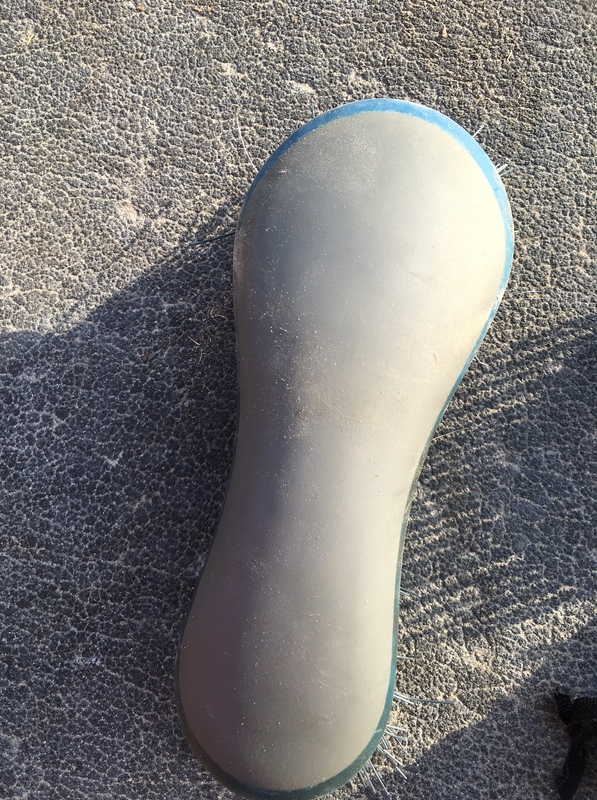 The handle is comfortable and gives you sufficient grip. The other brush I use a lot is the mane and tail one, which is my favourite to be honest. 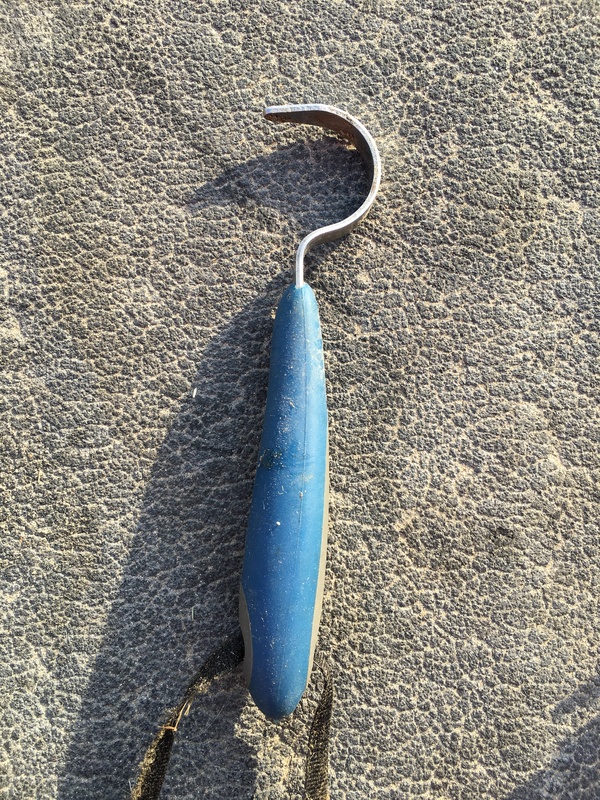 It had a long handle, allowing your hand to comfortably hold on with good grip. 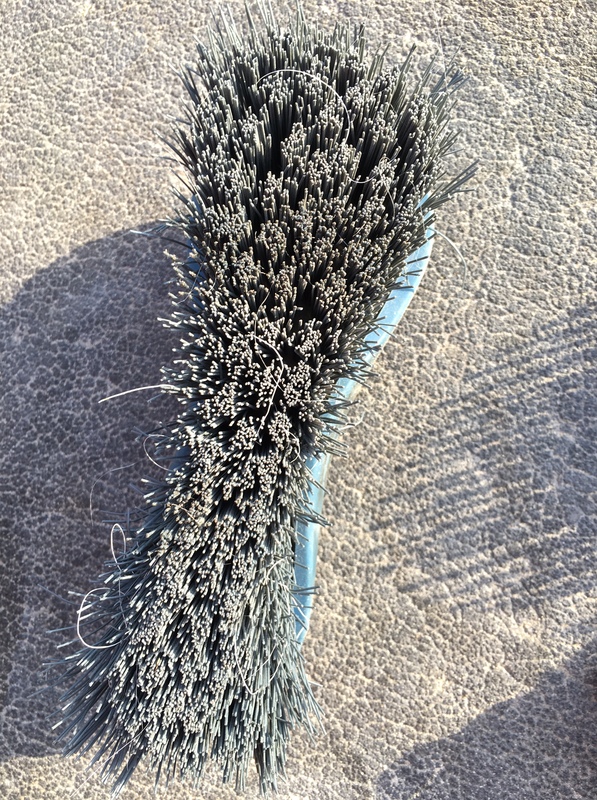 There is no wear and tear on the bristles so far. I never brush Tofino’s tail without a conditioner or a tail oil/cream in order to avoid breakage. 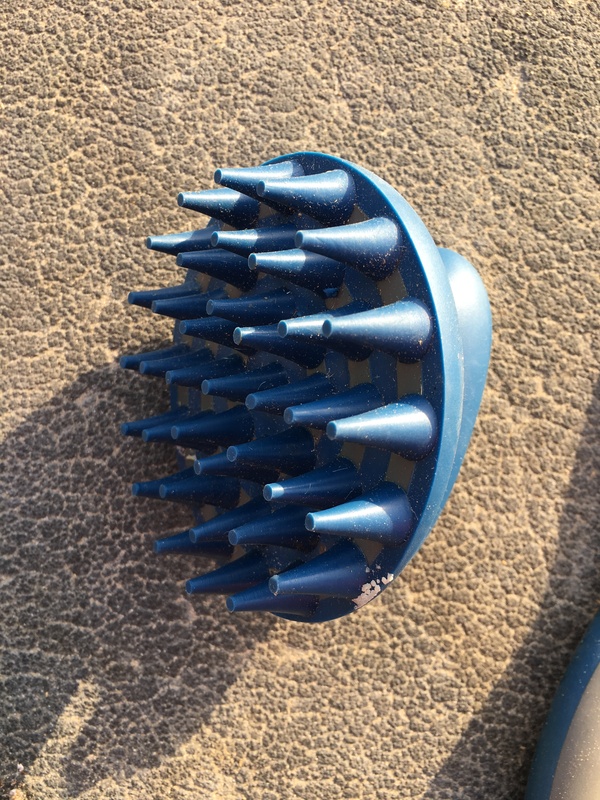 This curry comb doesn’t really do much, but I use it to help massage his body every now and then. He seems to like the feeling of it. If Tofino were to have a thick coat, then perhaps this would actually work but i always clip him. As for the comb, I honestly only use it for plaiting the mane and it helps with sectioning off his hair. It also has a good long handle for better grip. 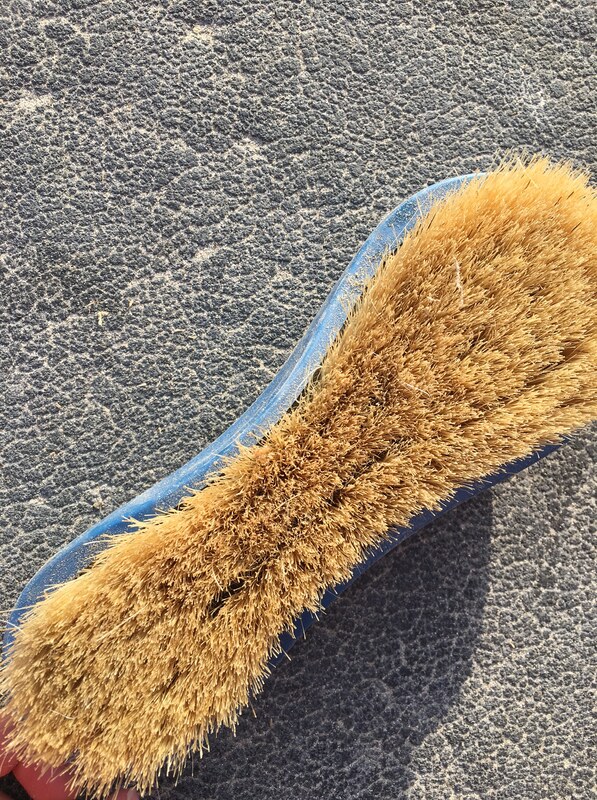 The soft brush is a good finishing touch especially with a longer coat. I only use this in the winter when Tofino has a longer coat in order to soften it up and keep it shiny and clean. 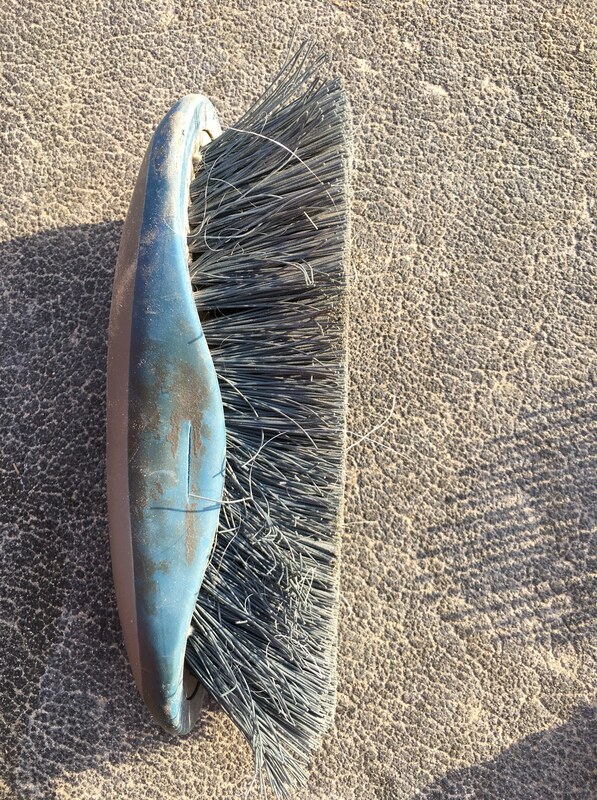 I wish the bristles were longer on this though. 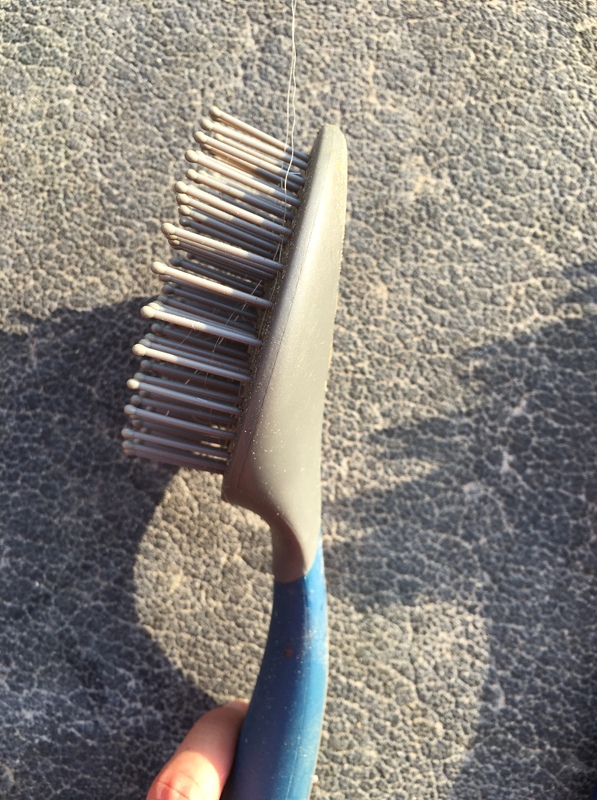 Lastly, the hoof pick does its job of picking the hooves comfortably, however, I personally prefer picks that come with a small hard brush on the other side as it is easier to rotate rather than grab another brush. Verdict: All in all, I am glad I had the chance to try this set. I would recommend IF you would use all the brushes as they are good quality. However, if you just need 2 or 3 then you can get them separately. I am thinking on doing a GIVEAWAY for a brand new Oster grooming set,,,would you guys be interested?? I’ve had my Oster brushes for over 10 years now, and certainly haven’t been gentle with them. 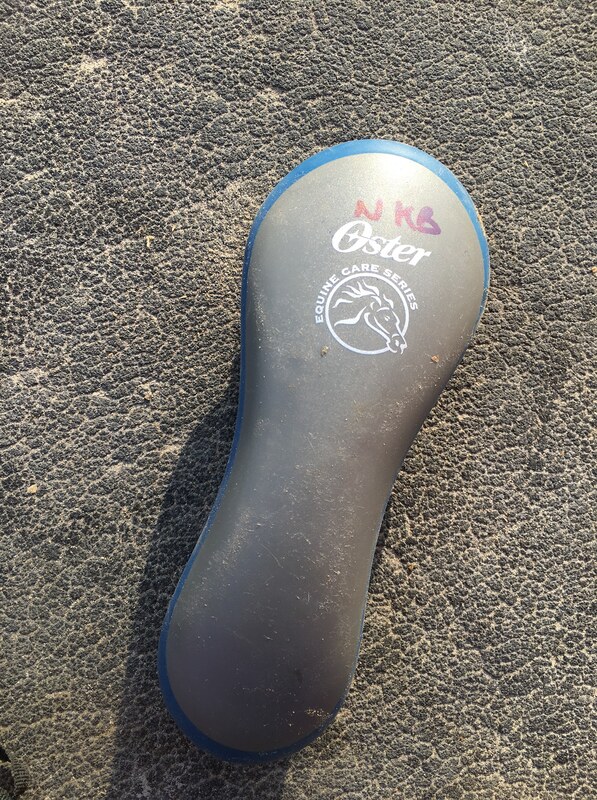 While I have a couple of brushes I like better now, my Oster stiff brush and hoof pick are still used daily.